Talk about summer on a stick! Okay, maybe Popsicles are summer on a stick. Ted: I say they should put more meats on a stick, you know? They got a lot of sweets on sticks- popsicles, fudgesicles, lollipop- but hardly any meat. Mary: I agree, there should be more. Ted: You know what I’d like to see? Meat in a cone. You could put corned beef hash in a cone, or chopped liver. Well Ted, maybe we will leave the second idea for another day. For now we will stick to this. 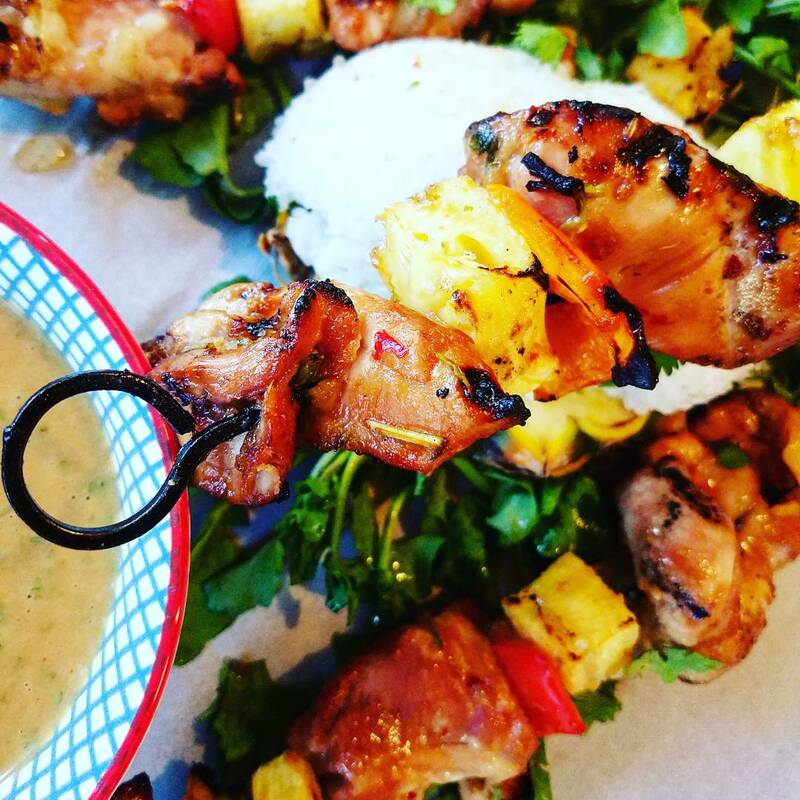 Marinated chicken thighs, grilled on a skewer with Hawaiian pineapple and locally harvested mini peppers with coconut rice and a to-die-for cilantro peanut sauce. Meat (and other stuff) on a stick. That’s a wrap people. I have made this dish with pork as well, and the marinade goes just perfectly with either of the proteins that you decide to select. 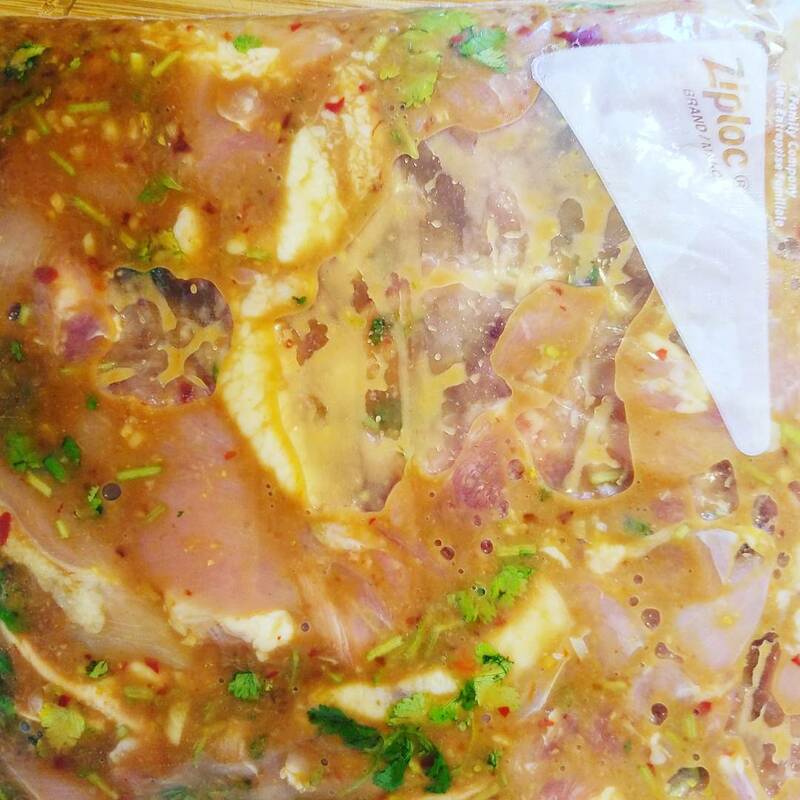 It is versatile, flavorful and an easy over night marinade. This peanut sauce though!!! Seriously, it is so good you will want to put it on everything. It is so good that I just now decided to do some extra leg work and give it it’s own post. As always, you’re welcome. Just assume it is salty (peanut butter and soy sauce), slightly tangy (lime juice and rice wine vinegar) with a hint of sweet (agave nectar). I would put it on veggies, rice, rice noodles, chicken, pork, prawns, etc. In fact, I have a slightly thinner version that I use as a salad dressing in my Thai Salads. 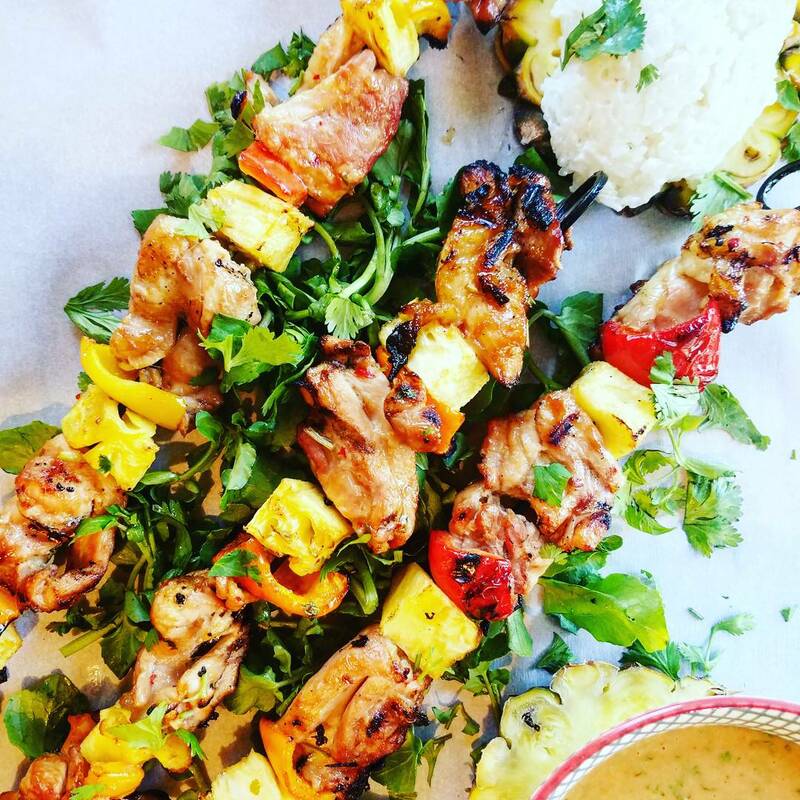 You can serve smaller skewers as an appetizer. Or you can make them larger and have so coconut rice, as I did. I have served this dish in more than one fashion, with more than one different kind of meat. No matter what you decide, it would be tasted, devoured and made again! That is one thing I can promise you. 1. Add all of the ingredients into a gallon size Ziplock bag and give it a good shake. 2. 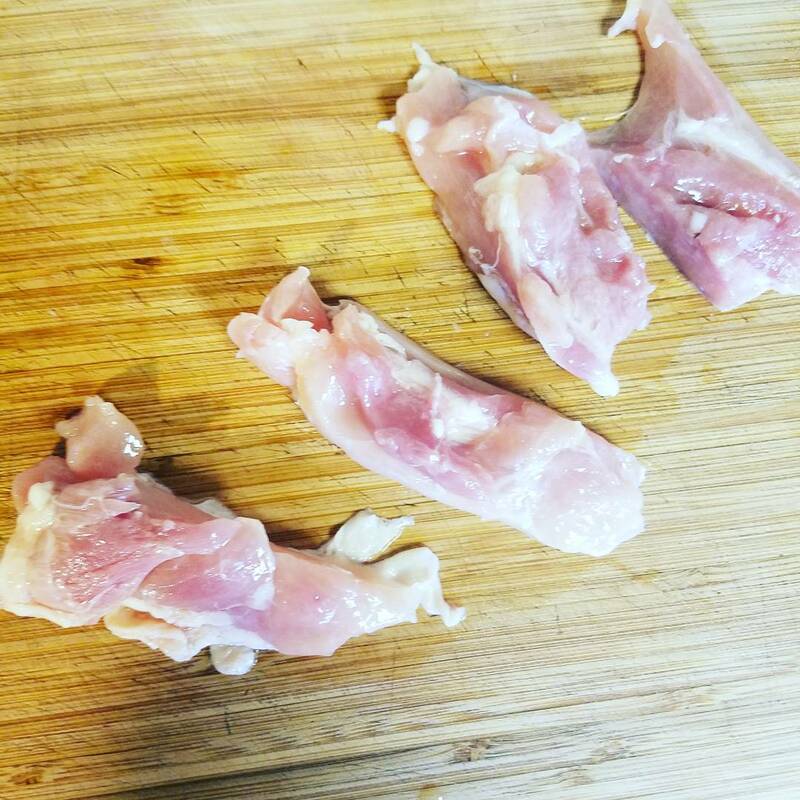 Cut your chicken (or whatever meat you are using) into strips. 3. Add them to the bag. 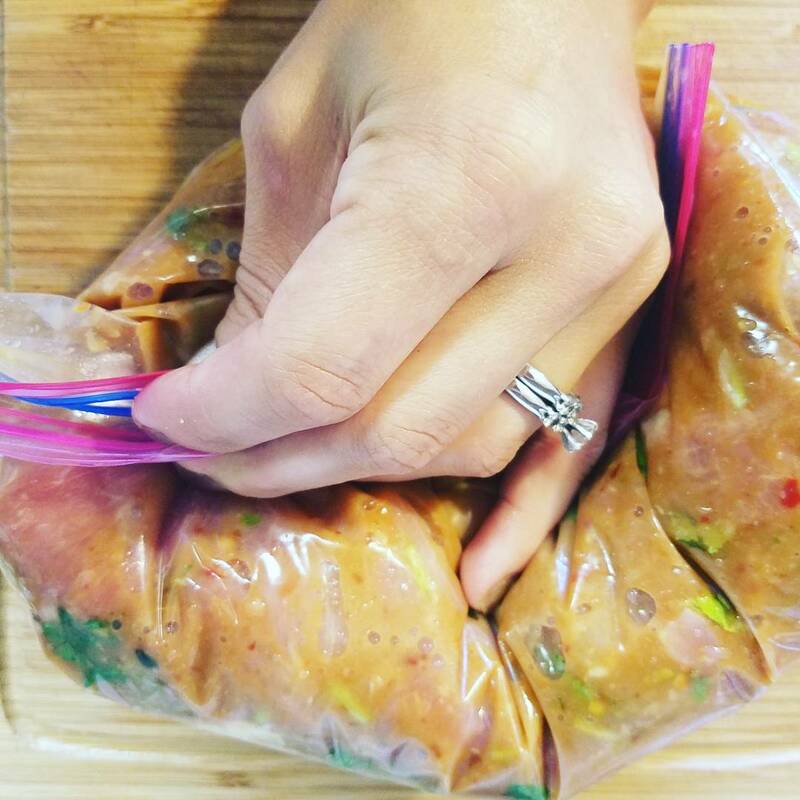 Close the top, and gently massage the contents so that the marinade coats the chicken. 4. Open a small hole in the bag and carefully apply pressure until there is as little dead space as possible. The contents of the bag should be pushing their way toward the opening. 5. Seal the bag and lay it flat in your refrigerator. As you can see, mine has a few small air pockets. It does not have to be perfect. 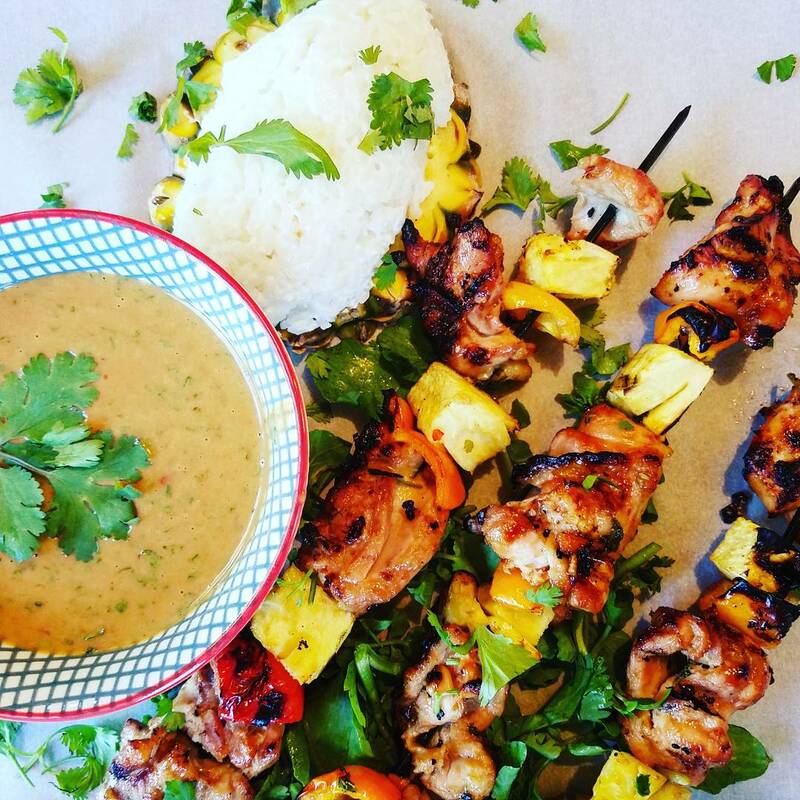 You can make the Thai Peanut Sauce a day ahead (while making your marinade) if you like. 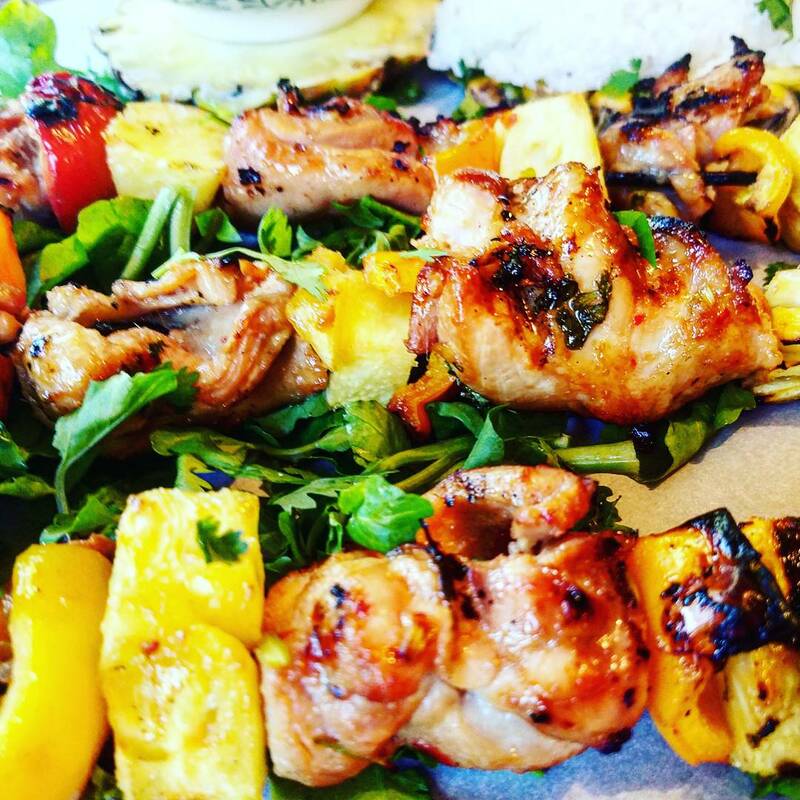 Or you can prepare it when your skewers are grilling. I like to do it before, so the flavors can blend together. 1. 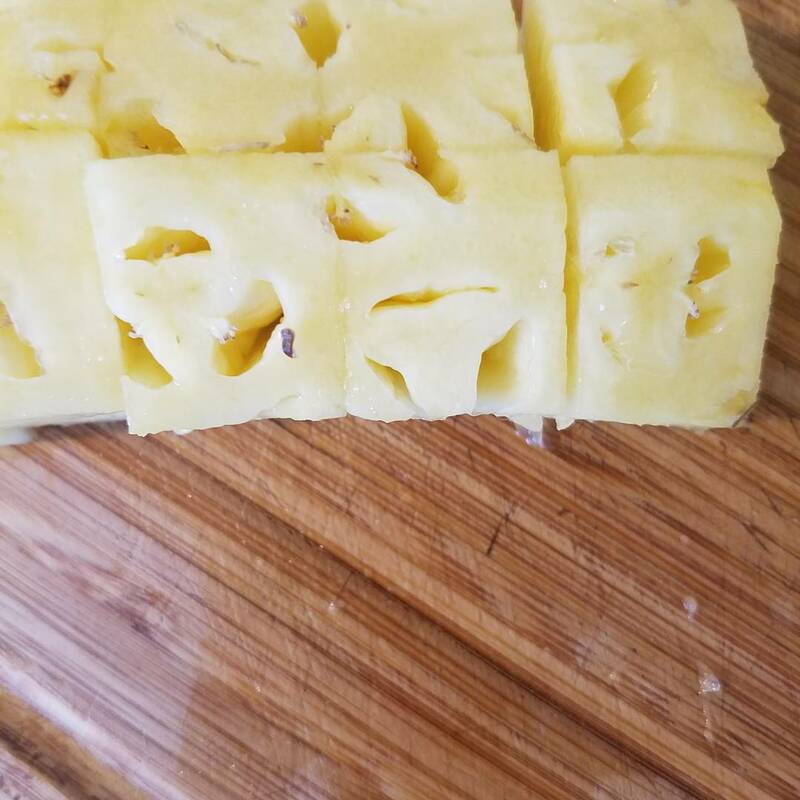 Cut your pineapple into 1"-2" chunks and set aside. 2. Clean your bell peppers, removing top, seeds and ribs. Cut them into 1"-2" square-esqe pieces. 3. 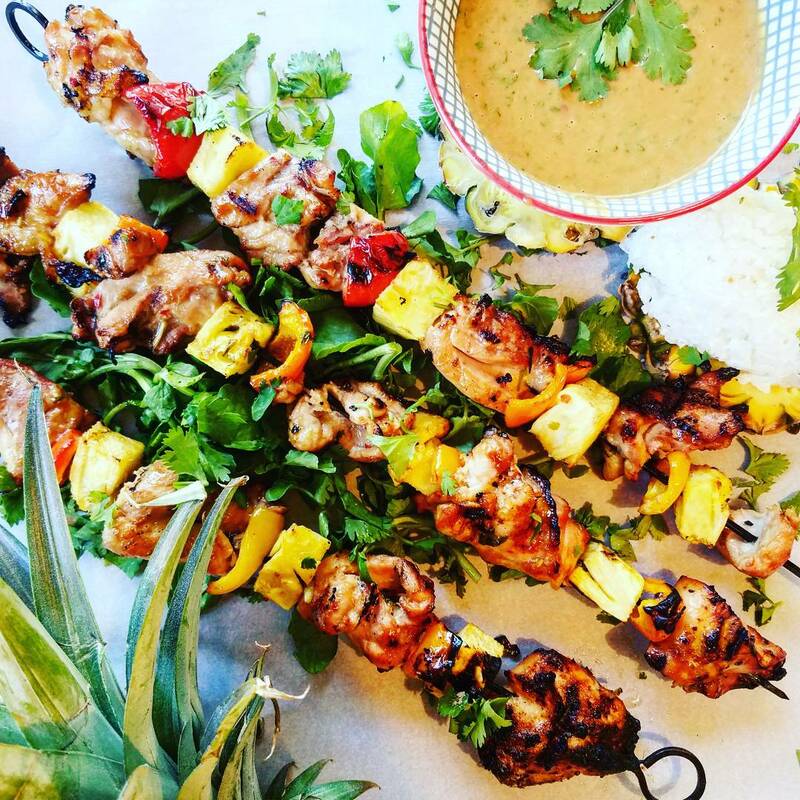 Rotate the meat, pineapples and peppers on the skewers according to quantity distribution and your liking. 4. Grill on a medium high heat for roughly 5-7 minutes per side. 1. Add 1 1/2 cups white rice to your rice maker. Add the remainder of the coconut milk from the marinade to the rice maker as well. 2. If you want it very coconutty and rich, add an additional can of Thai coconut milk and 1/2 cup of water to the rice maker. If you want a hint of coconut and fluffier rice, add the remainder of the can and 1 1/2 cups water to the rice maker. Plate with rice, skewers and a some peanut sauce. This entry was posted in Appetizer/Side, Entree, Uncategorized and tagged appetizer/side, entree, Thai.